Planet of the Apes Parade Float : Mego Museum 1975 Ad Archive! 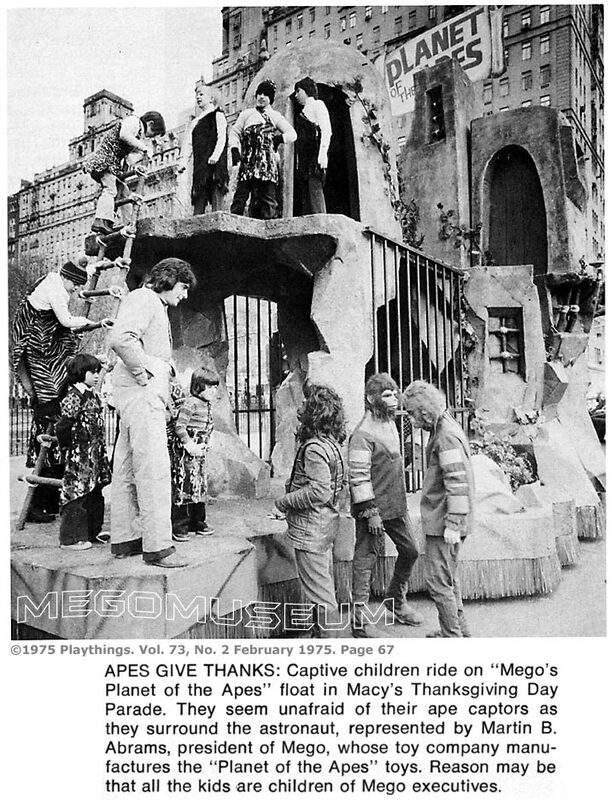 The Mego float in the 1975 Macy's day parade was used to promote the Planet of the Apes line of toys. The late Neal Kublan told me that it rained that day and his son (who was playing one of the humans) curled up in the cage and fell asleep!